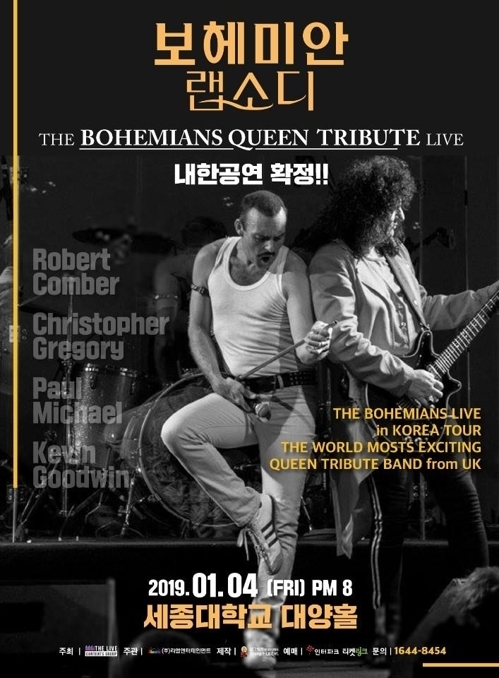 Queen tribute band The Bohemians will perform in Korea in January. They will perform at Daeyang Hall at Sejong University in Seoul, Goyang Aram Nuri Arts Center and Exco in Daegu on Jan. 4, 5 and 6, respectively. 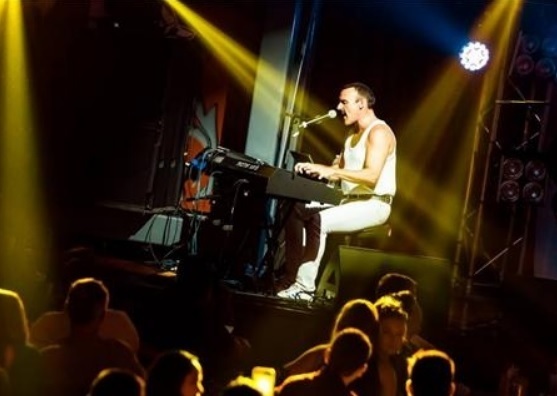 The Bohemians were established in 1996 and are dedicated to re-enacting the legendary music of Queen. The band consists of four members -- Rob Comber, Christopher Gregory, Wayne Bourne and Kevin Goodwin -- who each represent a Queen member. In 1998, the band headlined the International Queen Fan Club Convention, which was attended by 2,500 fans of Queen. They have toured across Europe, the US and Asia to perform at theaters, stadiums and festivals.